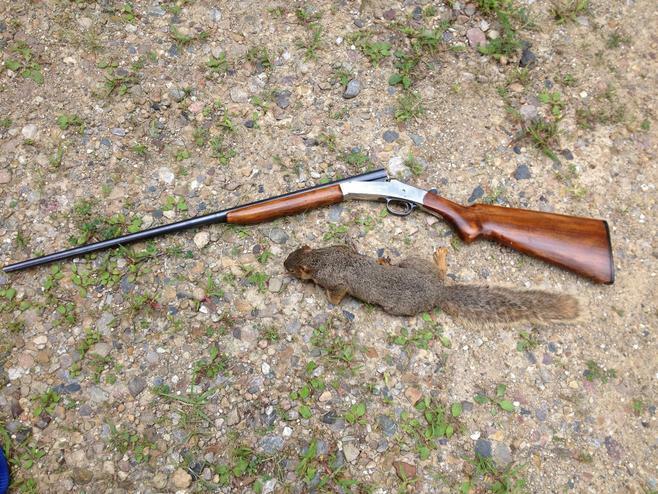 This is the place to post your Squirrel Contest pictures. 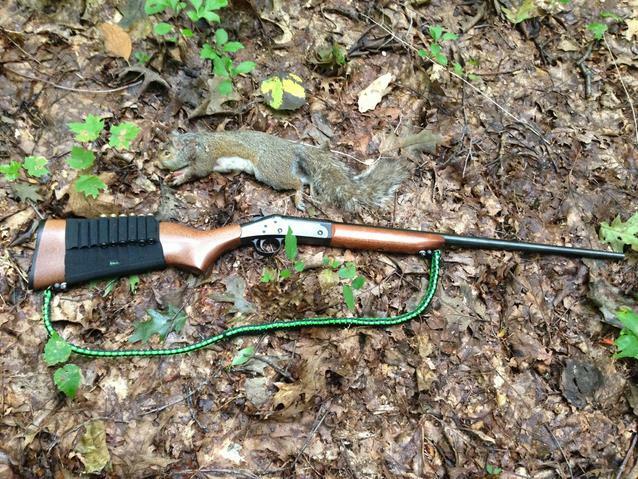 Have a Safe, and Prosperous Squirrel Season. 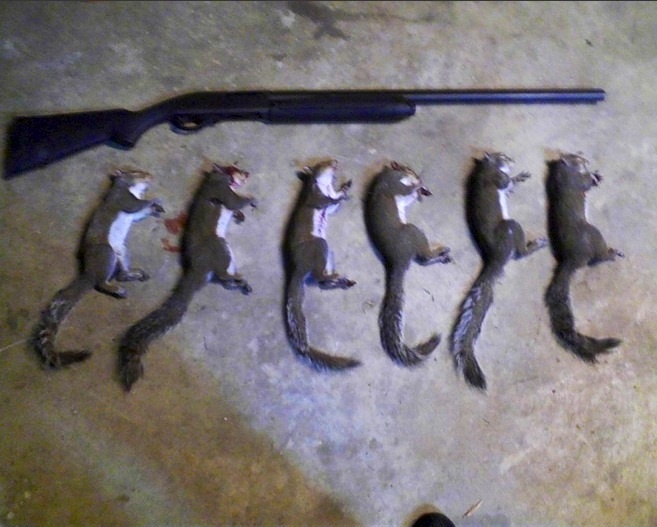 As previous years went, any type of squirrel will count. No chipmunks. To be scored you at least need a picture of the tails. 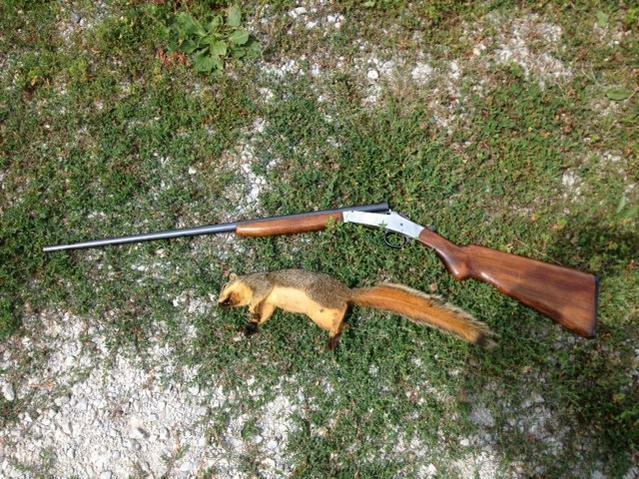 PREFERABLY a picture of the whole squirrel with the gun. Signups will run through the end of august and then I will make the teams. If someone wants to sign up late, I am ok with allowing people in throughout the season, but if anyone opposes that let me know. The more the better, in my opinion. If your season starts earlier than september 1st, then go ahead and post your kills and it will be for whatever team you end up on. The attached picture is a good example of how to take a photo. Last edited by jrbsr; 07-18-2013 at 03:54 AM. My first of the year! They seem extra cautious so far this year. 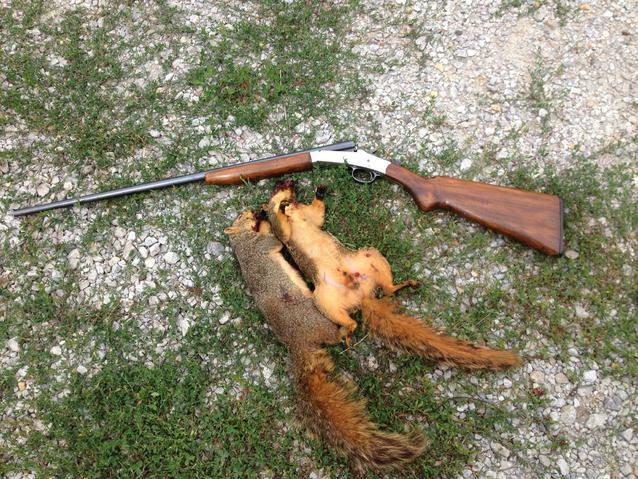 Been out for a total of 6 hours in 2 days and only saw one squirrel. Caught this one tiptoeing through the tops of some walnut tree's I was watching. Should be more to come, might just be a tad early for prime time though. Regardless, mark me down for 1 bushytail please! Last edited by jrbsr; 08-28-2013 at 05:05 AM. Last edited by jrbsr; 02-26-2014 at 11:31 AM. Add 2 more to the list! Caught the first one munching and the 2nd one immediately after when he was concerned for his fallen comrade. Got enough to make me a pot of stew now! First day of the season and only one I saw this morning. Last edited by jrbsr; 09-01-2013 at 06:49 PM. Teams are made, scores are updated! Keep it up guys. I should get some Ohio hunting in this week! As more sign up, we'll bring all teams up to five members. Then start a new team if need be. Good start to the season this year though.